Seller closing costs in NYC are between 8% to 10% of the sale price. Seller closing costs are usually higher for co-ops than condos because most co-ops charge sellers a flip tax. Closing costs include a 6% broker fee, NYC Transfer Taxes of 1.4% to 1.825%, legal fees, a flip tax for co-ops, building fees and miscellaneous fees. The traditional 6% listing agent commission is the largest component of seller closing costs in New York City. The second largest closing costs are the NYC & NYS Transfer Taxes which are a combined 1.4% for sales at or below $500k and 1.825% for anything above $500k. Aside from broker fees and Transfer Taxes, seller closing costs also include real estate attorney fees ($2k to $3k), a bank loans satisfaction fee if there’s an outstanding mortgage, miscellaneous filing fees and move-out fees and deposits in the case of condos and co-ops. 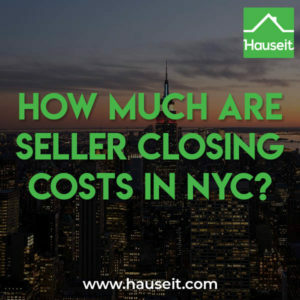 You can estimate your seller closing costs in NYC using Hauseit’s interactive closing cost for sellers. The largest closing cost for sellers is the traditional listing agent commission of 5% to 6% of the sale price. Broker fees in NYC have remained sky high despite falling commissions nationwide and technological advances which have made it easier than ever to advertise a property and find a buyer. One of the main reasons why commissions are high in NYC is because over 90% of deals are done with two agents: a listing agent represents the seller while a buyer’s broker represents the buyer. A typical commission of 6% is intended to be split equally between both agents, meaning both earn 3%. A typical seller in NYC signs an exclusive right to sell listing agreement which obligates them to pay a fixed commission amount at closing. If a buyer does not have an agent, the listing agent simply pockets the entire 6% and the sellers’ total commission bill usually remains unchanged. Most buyers in NYC have buyer agents because they’re aware that sellers are paying a commission anyway and neither the buyer nor the seller save money if the buyer is unrepresented. Many buyers also value the advice and strategic perspective that a dedicated buyer’s agent can offer. 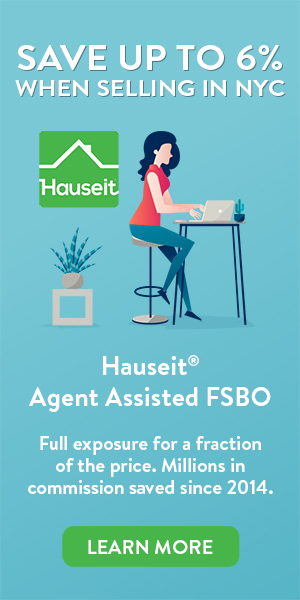 Furthermore, some buyers are not comfortable working directly with a listing agent under dual agency because of perceived conflicts of interest. The fact that most buyers have agents further incentivizes sellers to offer high commissions to buyer agents. This creates a self-perpetuating flywheel whereby sellers are encouraged to offer high commissions and buyers are encouraged to seek the services of buyers agents. 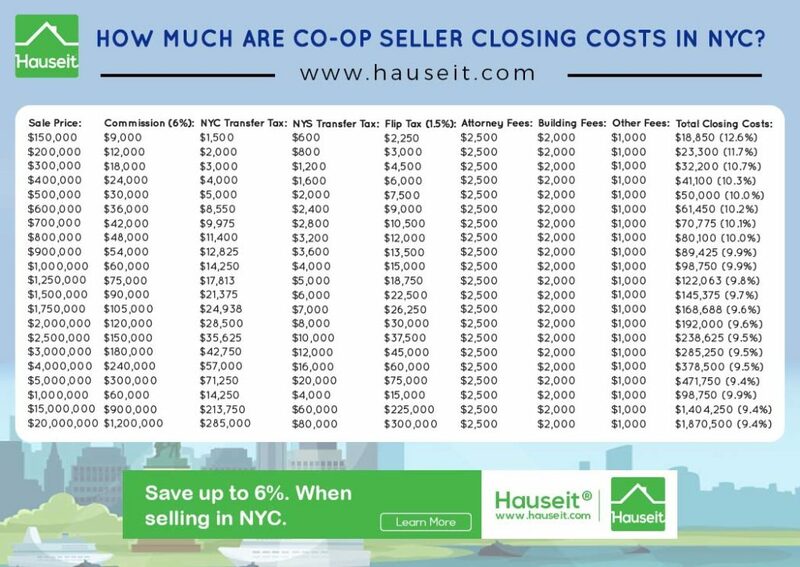 Most co-ops in NYC charge sellers a flip tax. The amount of the flip tax and how it’s calculated vary by co-op. As a general rule of thumb, an average flip tax in NYC is ~1.5% of the sale price. A flip tax can either be a flat fee, a per-share amount, a percentage of the sale price, a percentage of profits or some combination of these methods. The amount of the flip tax is usually listed in the co-op purchase application. If it’s not listed here, another good place to check is the house rules. As a last resort, you can ask your building’s managing agent to reconfirm the flip tax. Pro Tip: Buying after you sell? 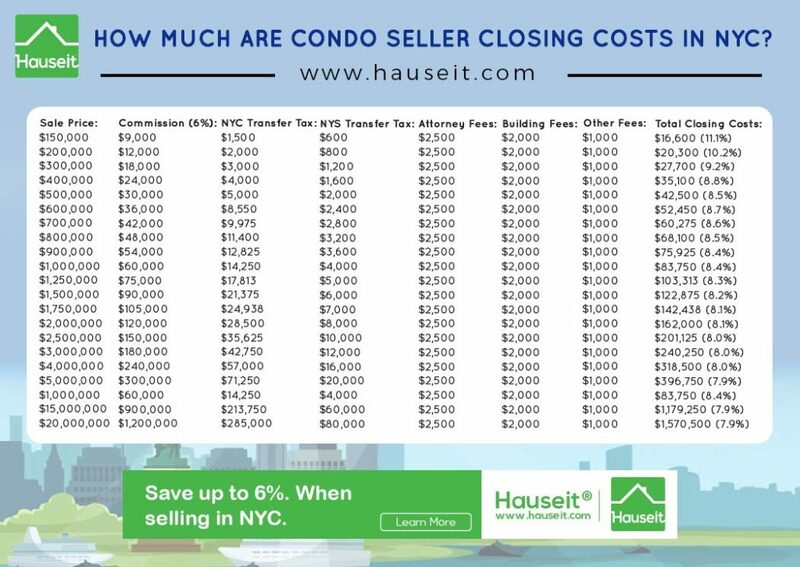 Estimate your buyer closing costs in NYC with Hauseit’s interactive closing cost calculator. The NYC Transfer Tax is 1% for sale prices at or below $500k and 1.425% for anything above $500k. There is also a separate NYS Transfer Tax of 0.4%. Most brokers and sellers who discuss the ‘NYC Transfer Tax’ are typically referring to the combined NYS & NYC Transfer Taxes. The combined NYC & NYS Transfer Tax rates are 1.4% for sale prices at or below $500k and 1.825% for anything above $500k. The NYS Transfer Tax is 0.4% of the sale price. The Transfer Tax rate does not vary based on the sale price. With that said, NYS does charge an extra Transfer Tax on sales above $1m. This is commonly referred to as the 1% Mansion Tax. Because the Mansion Tax is customarily paid by buyers, it’s not typically included when discussing seller Transfer Taxes in NYC even though it’s actually a Transfer Tax. A typical real estate attorney in NYC charges a flat fee of $2k to $3k for a sale or purchase transaction. The fee includes contract review/negotiation as well as the closing proceedings. Who you select as your lawyer can make or break your sale in NYC. A slow, combative or unresponsive lawyer may cause your buyer to walk away after you have an accepted offer. Because hiring the right lawyer is so important, we encourage you to read our dedicated article on the questions to ask your real estate attorney in NYC. We also discuss the typical real estate attorney fees for NYC in this article. Most co-ops and condos charge sellers a handful of miscellaneous fees when selling. These may include move-out deposits and fees as well as a fee payable to the managing agent for the closing proceedings. These fees do not usually vary based on the sale price. Therefore, you’ll notice that seller closing costs as a percentage of the sale price are somewhat regressive since closing costs as a percentage of the sale price are higher for inexpensive properties. Miscellaneous seller closing costs in NYC are generally less than $1,000. These fees may include a bank loan satisfaction fee if you’re paying off a mortgage as well as filing fees such as the Residential Deed Transfer Fee and ACRIS Filing Fees in the case of a condo or house. For a co-op, you’ll need to pay a co-op attorney fee, a UCC-3 Termination Fee, a Non-Deed Transfer Fee as well as the Co-op Stock Transfer Tax.